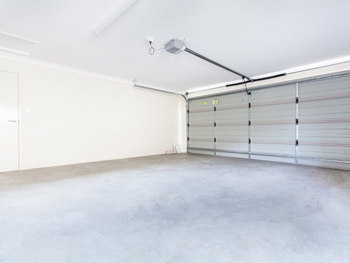 Don’t let a malfunctioning or damaged component leave you stuck inside or outside of your garage, when you can use the professional services of Garage Door Repair San Diego to get the best solution quickly. We fix and replace springs, cables, openers and panels of all types and sizes. You can rely on us for fast emergency assistance whenever the need arises. Our services cover doors and electric operators of all brands and types to ensure that everyone receives the best possible solution according to their needs. You can hire us to provide ongoing maintenance to your electric door and to replace it when the time comes. 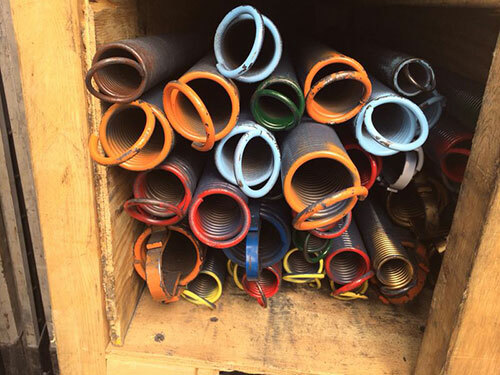 Whether there is a need for a bent track repair or for replacing a lost remote control, we’ll do the job perfectly in the shortest possible time. Our professional technicians in California use advanced equipment and the highest-quality spare parts. It is our commitment to eliminate urgent problems on the spot, in order to give our customers reliable performance and the highest level of safety and security. If you hear a loud bang from the garage and you cannot open the door, you most certainly have a broken extension or torsion spring. We’ll replace it with a new one that matches your door’s size and weight precisely. All of our replacement springs have a long estimated lifespan, and with our meticulous installation you can rest assured their performance will be to your satisfaction. If you have a malfunctioning or damaged spring, count on us to fix it or replace it. We are experts in adjustment and always achieve excellent results. What if you have a noisy belt drive opener that can’t lift the door or a screw drive device that cannot close the unit properly? Our company is here to provide the right solution quickly. We replace broken gears and trolleys, fix motors and rails and make adjustments to the force and travel limits. Our services cover all accessories too. We replace faulty safety sensors and missing clickers and fix all kinds of controls effectively and without wasting any time. Once you contact us, you can expect us to quickly respond to your call. Whether you need to change a broken or worn component or require a full panel repair, we will come to you shortly and take care of the problem. Rely on us, at “Garage Door Repair San Diego”, to fix any issue with your door or opener and for accurate installation and dependable maintenance too. For assistance, call us or send us a message. You are welcome to learn more about our company and services from our website. Since the manufacturer has always been among the leaders in the production of electric operators, you can expect the new Craftsman garage door opener models to be equipped with advanced technologies. At present, the brand offers a belt drive opener unit with AssureLink technology. This technology makes it possible to monitor and run the device remotely via a smartphone app. Our technicians are available to setup AssureLink as part of the installation of the opener. There are both belt and chain drive models equipped with a DC motor and the DieHard battery backup. This backup allows the opener to work even when there is a power outage. The DC motor generally has several advantages over its AC counterpart including higher energy efficiency and lower noise levels. The traditional wall-mounted button is replaced by an LCD console which monitors the opener and the setting. 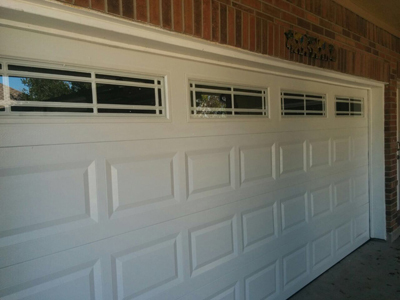 Take advantage of our garage door repair services ranging from opener repair to broken spring replacement. We work with doors and electric operators of all brands available in California. Our company provides installation and maintenance services you can count on in zip code 92128. Traditional doors are opened manually. Automatic doors can be opened using a remote or keypad, with the help of a garage door opener. Our technicians can install and fix manual doors, as well as automatic ones. New technologies are constantly being introduced in the garage door industry.